When was the last time you explored a piece of New York history? 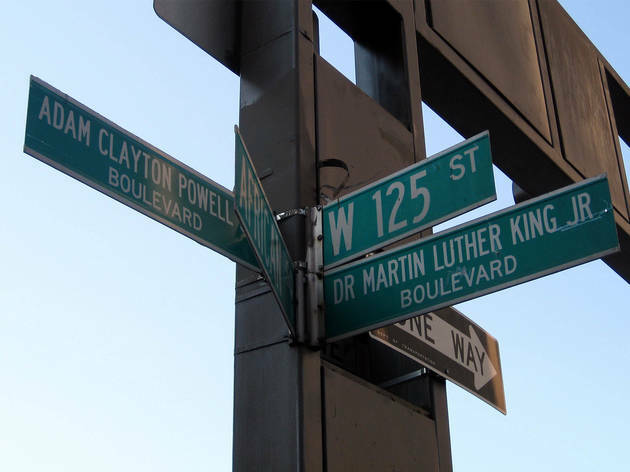 Delve into the epicenter of African-American culture and absorb the connection between New York and the civil-rights movement during this eye-opening MLK edition of Big Onion’s Historic Harlem Walking Tour. Major stops along the two-hour saunter include the Abyssinian Baptist Church, Striver’s Row, The Schomburg Center for Research in Black Culture and sites tied to W.E.B. DuBois, Madame C.J. Walker, Malcolm X and more. 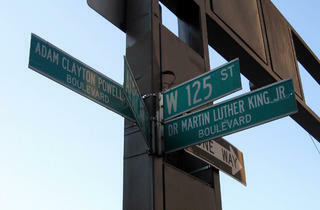 Meet at the corner of 135th St and Lenox Avenue in front of the Schomburg Center. This was a lot of fun! I think historical walking tours are probably my favorite thing to do and ones that are socially relevant are even better! It was a VERY big group for MLK day which I think is probably not usually the case, so our poor tour guide had to yell. But nonetheless she was very informative and engaging and wove MLK into the stories expertly. I'm sure there are some less expensive tours, but Big Onion really does have the best selection and their tour guides are historians who really love what they are talking about!